This photo will end all those ugly rumors. 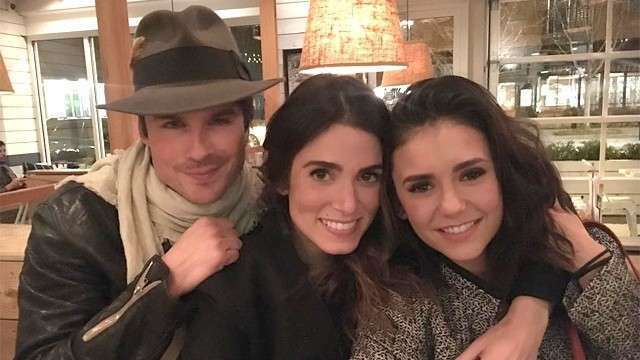 Since Ian Somerhalder got into a relationship with Twilight actress Nikki Reed, people thought that there's some bad blood between this couple and Ian's ex Nina Dobrev. But we're verrry happy to report that there really is no issue between this three. Sorry, haterz! Nikki shared empowering words on her caption of their photo with Nina in an attempt to clear out everything. 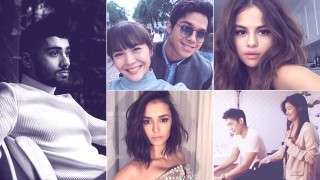 "Here's to putting an end to all those fake stories of on set jealousy, betrayal, made-up-friendships lost and women hating women," she wrote on the caption. Yasss, Nina Dobrev Is Returning to The Vampire Diaries! ZOMG, Nina Dobrev and Paul Wesley Reunited Already! "Because at the end of the day, that's what this is about: teaching girls that you have to hate other girls only breeds a generation of women who believe you have to hate other women." Hear, hear! We love what you said there, Nikki! Nina also shared another photo with the couple on her Instagram, wherein they looked like they were having such a grand time.